CWE Clerks-VIII 7275 Vacancies for filling up the posts of Clerks in different Public Sector banks within the country India. Such participants who come in required age group with right academic eligibility must apply through online latest by dead line. 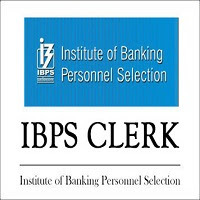 To cash this opportunity of reputed jobs appliers are to fill the Online Application Form by visiting the website of IBPS. Form filling procedure with other sufficient details brought up for IBPS Clerk Recruitment is given below on this web page for all visitors. Best wishes for applicants in advance!! For more advt. of jobs applicants are advised to visit the website of IBPS that is www.ibps.in to read PDF files of recruitments. Aspirants can easily receive daily updates of bank careers as well as other Jobs. Now stay tuned on this web page to grab this chance of job. Degree (Graduation) in any discipline from a University recognized by the Govt Of India or any equivalent qualification recognized as such by the Central Government. Applicants have valid Mark-sheet / Degree Certificate that he/ she is a graduate on the day he / she registers and indicate the percentage of marks obtained in Graduation while registering online. Operating and working knowledge in computer systems is mandatory. Application Fee: General category applicants are required to submit application processing fee of Rs. 600 /-. Those candidates who are belonging to the SC/ST/PWD/EXSM categories they have to pay Rs. 100/- as application processing fee to apply. Recruitment Process: Selection will be made on the basis of performance in Preliminary and Main online exam and Interview. On home page enter on ‘CWE Clerical’ link. Choose link ‘Common Recruitment Process for Clerical Cadre VIII’ and a new page will open. Further enter on ‘Press here to view advertisement for Common Recruitment Process for Clerical Cadre Phase VIII (CRP Clerks-VIII)’ link.